Though strong as an ox, my erstwhile friend, the faux socialist Stephanie, is allergic to work. She would take a temporary job and, when it ends, apply for unemployment benefits. When the benefits run out, she’ll go find another temp job. And so on . . . . This post on our Lord’s passion and sacrificial love is for Stephanie, the “artist” Michael D’Antuono who, in 2009, painted a blasphemous portrait of Obama as crucified christ, and all malignant narcissists who cheapen His memory by having the boundless arrogance and gall to compare themselves to Him. The account below is difficult for us to read. You will weep, if you have a heart. Imagine how many hundred times difficult it was for our Lord, who endured all of it. After He and his disciples had observed the Passover meal in an upper room in a home in southwest Jerusalem, they traveled to the Mount of Olives, northeast of the city. There, in the garden of Gethsemane, for 12 hours (from 9 PM Thursday to 9 AM Friday), He prayed. He saw all the sins of humanity — past, present, and future. The cumulative effect of what He saw was so horrific that He sweated blood — hematidrosis, or hemorrhage into the sweat glands. His skin became fragile and tender from the hematidrosis, and He felt chilled in the night air. Then the Roman soldiers came to arrest Him and took Him away — He who had committed no crime and no wrong, but instead had fed the hungry, healed the sick and blind, and even raised the dead. 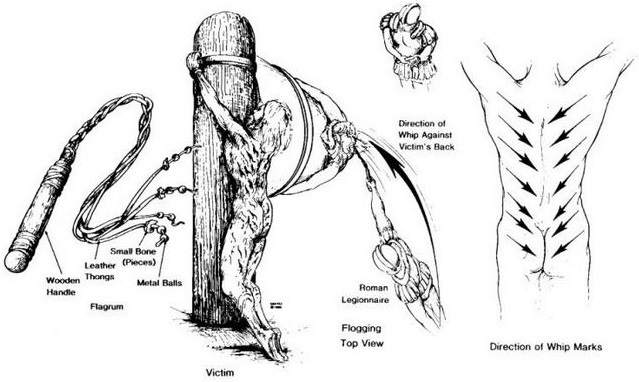 He was scourged at least 39 times. Scourging or flogging was a legal preliminary to every Roman execution. The usual instrument was a short whip (flagellum) with several single or braided leather thongs of variable lengths, in which small iron balls or sharp pieces of sheep bones were tied at intervals. Occasionally, staves also were used. He was stripped of his clothing, His hands tied to an upright post. His back, buttocks, and legs were flogged either by two soldiers or by one who alternated positions. The scourging was intended to weaken Him to a state just short of collapse or death. As the Roman soldiers repeatedly struck His back with full force, the iron balls caused deep contusions, and the leather thongs and sheep bones cut into His skin and subcutaneous tissues.Then, as the flogging continued, the lacerations tore into His underlying skeletal muscles and produced quivering ribbons of bleeding flesh. Pain and blood loss set the stage for circulatory shock. His scalp was pierced with thorns. The Roman soldiers, amused that this weakened man had been acclaimed a king just days ago when He entered Jerusalem on a donkey, mocked Him by placing a robe on his shoulders, a crown of thorns on His head, and a wooden staff as a scepter in His right hand. Next, they spat on Him and struck Him on the head with the wooden staff. 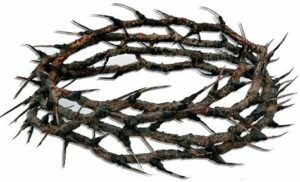 The crown of thorns was not a crown at all. It was probably a bush roughly applied, and tied on with rope. The thorns probably came from the Lote Tree, a wild bush that still grows freely all over the Holy Land. This bush had thorns between one to two inches long. There are over 70 scalp wounds visible on the man whose image is seared forever into the Shroud of Turin. The soldiers’ beating with the rods to His head covered with this crown would have caused severe bleeding. It is probable that the clump of thorns was removed before His tunic was put back onto His body, and then reapplied during the Crucifixion. The blood trickling down from the newly opened head wounds suggest that the thorns were reapplied before the Crucifixion. Imagine the pain you’d feel if just one thorn, measuring 1 to 2 inches long, were stuck into your scalp . . . . He carried his own cross, weighing 125 lb. The severe scourging, with its intense pain and appreciable blood loss, most probably left Him in a pre-shock state. Moreover, hematidrosis had rendered his skin particularly tender. The physical and mental abuse, as well as the lack of food, water, and sleep, also contributed to His generally weakened state. Therefore, even before the actual crucifixion, His physical condition was at least serious and probably critical. It was customary for the condemned man to carry his own cross from the flogging post to the site of crucifixion outside the city walls. Since the weight of the entire cross was probably well over 300 lb., “only” the crossbar or patibulum — weighing 75 to 125 lb. — was carried. The patibulum was placed across the nape of His neck and balanced along both shoulders, His outstretched arms tied to the crossbar. The processional to the site of crucifixion was led by a complete Roman military guard, headed by a centurion. He was nailed to a cross to die. The Romans did not invent crucifixions, but they perfected it as a form of torture and capital punishment designed to produce a slow death with maximum pain and suffering. It was one of the most disgraceful and cruelest methods of execution and usually was reserved only for slaves, foreigners, revolutionaries, and the vilest of criminals. At the site of execution, by law, He was given a bitter drink of wine mixed with myrrh (gall) as a mild analgesic. He was then thrown to the ground on his back, with his arms outstretched along the patibulum. His hands were nailed to the crossbar at the wrists. The nails were tapered iron spikes approximately 5 to 7 inches long with a square shaft 3/8 in. across. After both arms were fixed to the crossbar, He and the patibulum, together, were lifted onto the stipes. Next, His feet were nailed to the front of the stipes. Every breath He took was a struggle, seared with pain. The weight of His body, pulling down on the outstretched arms and shoulders, fixed the intercostal muscles in an inhalation state and thereby hinder passive exhalation. Accordingly, exhalation was primarily diaphragmatic, and breathing was shallow. This form of respiration would not suffice and hypercarbia (abnormally-elevated carbon dioxide levels in the blood) soon resulted. The onset of muscle cramps or tetanic contractions, due to fatigue and hypercarbia, further hindered His breathing. Every breath He took was a struggle, shot with agonizing pain. To exhale, He had to lift His body by pushing up on His feet, flexing His elbows and adducting His shoulders. However, this maneuver placed the entire weight of the body on His tarsals, producing searing pain. Furthermore, flexion of His elbows caused rotation of His wrists about the iron nails, causing fiery pain along the damaged median nerves. Lifting of the body also painfully scraped His scourged back against the rough wooden stipes. Muscle cramps and paresthesias (pins and needles) of the outstretched and uplifted arms added to the discomfort. As a result, each respiratory effort became agonizing and tiring and led eventually to asphyxia (depletion of oxygen to the body). After “only” 3 to 6 hours hung on the cross, He breathed his last. Remember His Passion today with the Stations of the Cross. Go here. This entry was posted in Bible, Christians/Christianity, Culture War, Evil, God, Inspirational, Liberals/Democrats/Left, Obama, spiritual warfare, Wicca and tagged Crucifixion, Passion of our Lord. Bookmark the permalink. What would of me if I didn’t believe in HIM and what HE sacrified so long ago for. Each and everyday HE helps me in this difficult moment I’m enduring and HE is there to help me up. I have long been confused over the actual time Jesus spent in the tomb. Jesus says himself that just as Jonas was in the belly of the whale three days and three nights so shall he be in the grave, and in the other gospels it is the same. Yet I have read in other places, such as in Corinthians that he rose on the third day. I suppose it is all in your perspective. Any how, I suspect the ‘passions of obama’ and the like, are yet to come. Only the ignorant, traitorous liars, or cowards,….referred to obama as president. Thank you for describing in detail the pain, torture that Jesus endured for my sins. I need and benefit from reminders of how much more he did for me than I would do for myself. Thank You, Lord, for the shedding of the blood of Jesus for me that I might accept it and salvation as You forgive me for my sins as I forgive others. Thank you Doc hard to see to type. God looked from the beginning to the end of mankind and no one no one was sin free to bring us to him so he sent his Son in our stead. They did this to the one so what will they do to us when the time comes. We must plant as many seeds as possible before the end comes. Praise God for his Love and Justice. Glory and honor and praise be to the Lamb of God, now and forever. 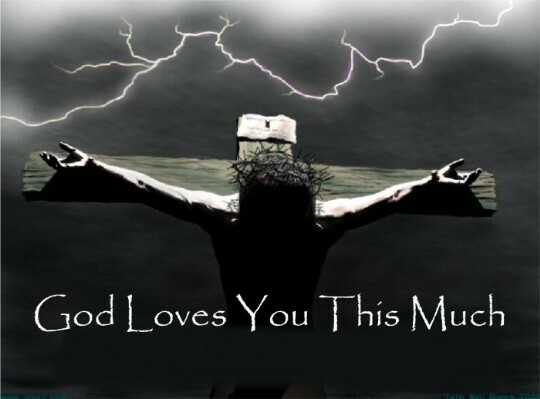 Who has had greater love than this? Who was and is like him? Who will be like him? No one, but the Lord Jesus Christ. Why anyone, especially our omniscient GOD, would go through any part of that for ME is unimaginable…. Because His love for us is incomprehensible. On another note, having seen Passion of the Christ (which we shed tears thru most of), and greatly appreciating Jim Cavaziel’s acting, we went to see Paul Apostle of Christ Wednesday. Again , many parts of it are very moving, and bring tears, and it’s excellent deserving of our support. Jim was saying that Passion of the Christ 2 : The Resurrection by Mel with Jim as Christ again is in the works – I’ve heard it may be released in the not too distant future. If this is true, it will be another film I’ll pay to see. Just a note: God did not raise Jesus from the dead – Jesus Christ WAS GOD, the Second Person of the Blessed Trinity – “before Abraham was I AM” – “The Father and I are ONE” – and He raised Himself from the dead – which only “GOD” could have done. Thank you, Dr. Eowyn, for the graphic, brutal reminder of just how much He suffered for all of us, and did so willingly. I knew of some of the effects on the body from being flogged & crucified, but not in detail like this. No words can describe the sheer pain and hurt He endured. There is a Catholic devotion to the Fifteen Secret Tortures of Jesus. I recommend people look it up. As a little child I couldn’t understand why we call it “Good” Friday. But as a man, knowing He did this deliberately to rescue us from our sin and death, I understand how good “Good” Friday really is. 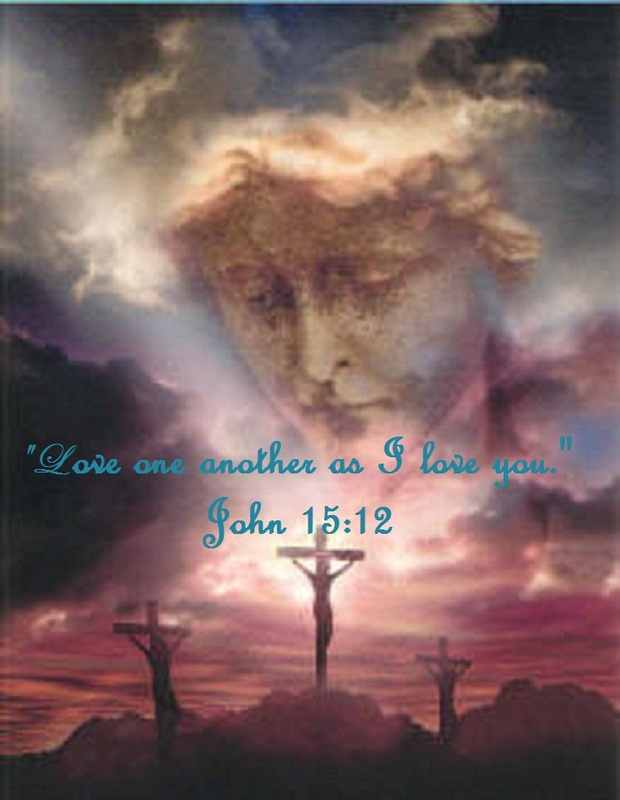 “Unto Him Who loved us and washed us from our sins in His own blood.” Revelation 1:5. He was the Lamb Slain from the Foundation of the World. Thank you Jesus for the cross. Unimaginable love.